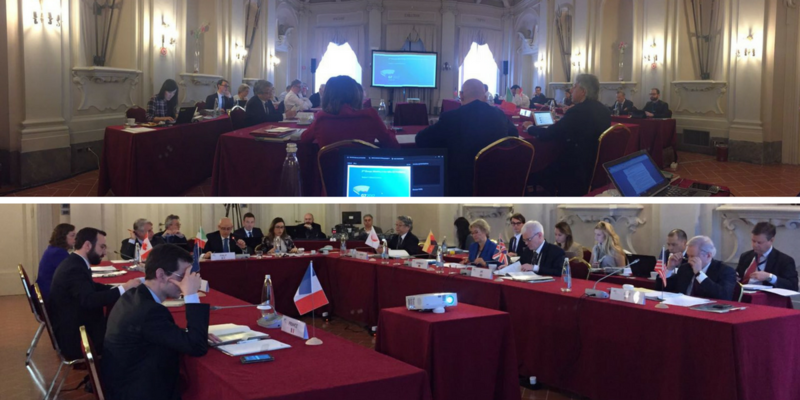 The second meeting of the G7 Sherpas, the representatives of Heads of State and of Government who lead the diplomatic negotiations leading up to the Taormina Summit on May 26-27, ended today in Florence. The meeting, chaired by the Italian Sherpa, Ambassador Raffaele Trombetta, focused on: climate and energy, innovation, skills and labor, gender inequality, global economy, human mobility, Africa outreach, foreign affairs and international trade. The Sherpas held a broad discussion starting from the priorities of the Italian G7 Presidency and with the aim of identifying common positions which will shape the text of the final communiqué. The meeting was also an opportunity to anticipate some of the issues that will be addressed in two of the upcoming ministerial meetings: the G7 Energy Ministerial on April 9-10 in Rome and the G7 Foreign Affairs Ministerial on April 10-11 in Lucca. The first meeting will focus on the issue of energy security. It will be an opportunity to review the progress achieved since the 2014 "Rome Energy Initiative for Energy Security", including the actions agreed in the G7 Energy meetings in Hamburg in 2015 and in Kitakyushu in 2016. In Lucca, the G7 Foreign Affairs ministers will gather to discuss current issues of international politics, with a particular focus on the crisis areas in the Mediterranean and the Middle East, peace-keeping and peace-building operations, the fight against terrorism, the protection of human rights, disarmament and non-proliferation. The Sherpa meeting ended with a preview of the "G7 Experience", the official App of the Italian Presidency, which will be launched at the Ministerial meeting on Culture on March 30-31 in Florence. The App will provide delegates and accredited journalists with a kit of personalized content, ranging from the agenda to logistical details, from cultural itineraries to events that will be held in conjunction with the meetings of the G7. The next Sherpa meeting is scheduled for April 26-27.